On Vikings Season 2 Episode 10, Horik's time as King is over when Ragnar beats him at his own game. Floki the trickster had been fooling us all season: he had always remained true to the Gods and his friend Ragnar. He played Horik well. Meanwhile, Lagertha and Aslaug discovered a kind of peace, while Porunn played hard to get with Bjorn, yet he wins her over. 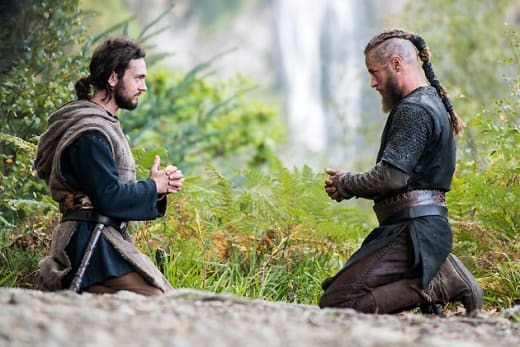 Finally, Athelstan teaches Ragnar to pray to his Catholic God. Horik: Forgive me Floki. I know I should trust you but I need proof. 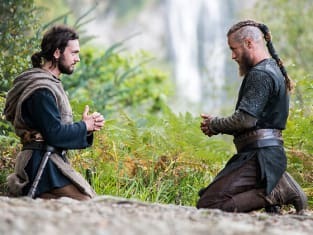 Horik: Yes, prove to me I can trust you. Prove to me you are on my side. Floki: How can I prove it? Horik: Kill someone. Someone who matters. Permalink: Kill someone. Someone who matters. I've seen you pray to your God. Will you teach me one of your prayers so I can learn? Permalink: Will you teach me one of your prayers so I can learn?